Couyoumjian Asset Management, an independent financial planning company, is affiliated with First Allied Securities and Wells Fargo. They formulate personalized investment strategies from 401(k)s to mutual funds, and also do tax planning. They have a client-centered approach to financial planning where clients come first. They focus on educating their clients with the best investment opportunities and risk factors personalized for each client’s individual situation. Couyoumjian had recently changed their broker/dealer and expanded their business. 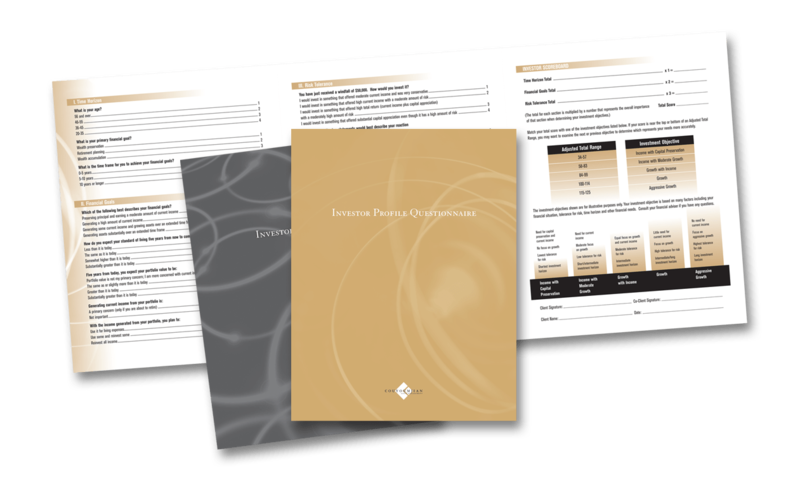 They wanted a fresh collateral kit to support their new direction, including brochures, profile sheets, and fact-finders, along with additional marketing materials. I developed a plan of action to produce and deliver their new overview and capabilities brochure within one week so that it would be available for clients and prospects at their grand opening event. I scheduled a photo shoot, wrote copy, developed design and layout, and produced and printed 5,000, three-panel, three-color, satin-finish brochures. The promotional company materials were informative, appealing and designed with a sophisticated, consistent look which complemented the corporate identity. 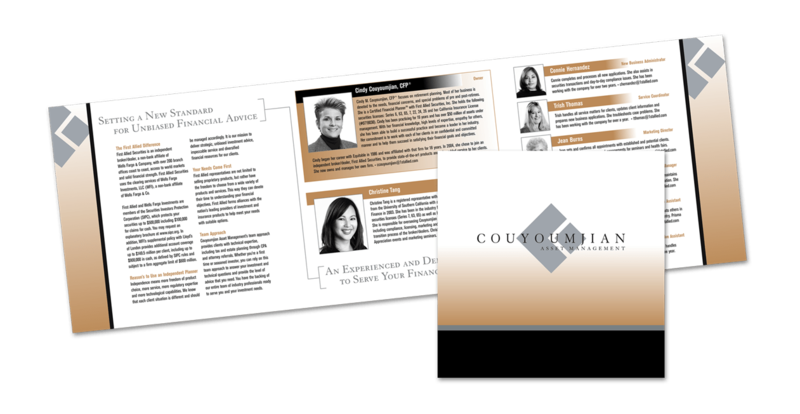 The brochures were a big hit at the event, and made a strong impression with current and prospective Couyoumjian clients.